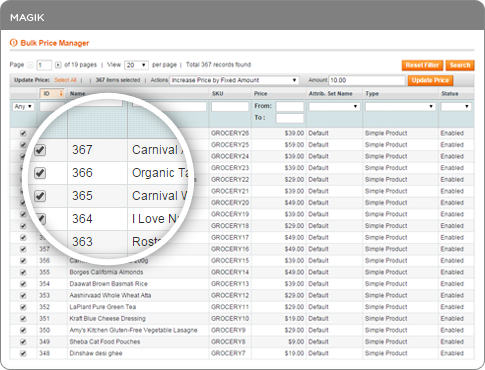 Magento Bulk Price Manager is a comprehensive tool to help you easily to edit prices for multiple products on a single page. It takes a few clicks to update prices throughout the store. 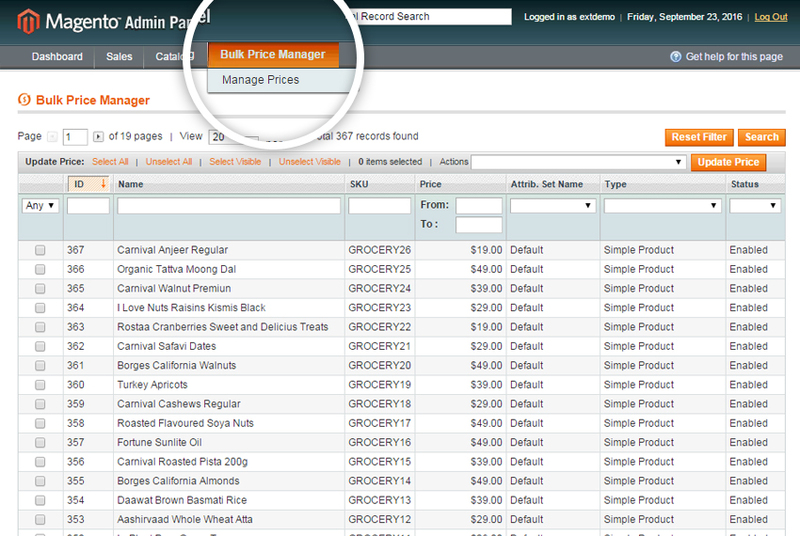 Bulk Price Manager extension helps store owners to instantly update products prices or special prices in bulk. With an easy interface, the extension helps to increase or decrease product prices either by fixed or percentage amount in real time. Default Magento environment expects you to edit single product of your catalog one at a time, but what about when you are supposed to edit hundred product prices?. Magento Mass Price Update helps you avoid those endless & annoying actions by providing the ability to update product prices in bulk. Can I change product tier prices in bulk? 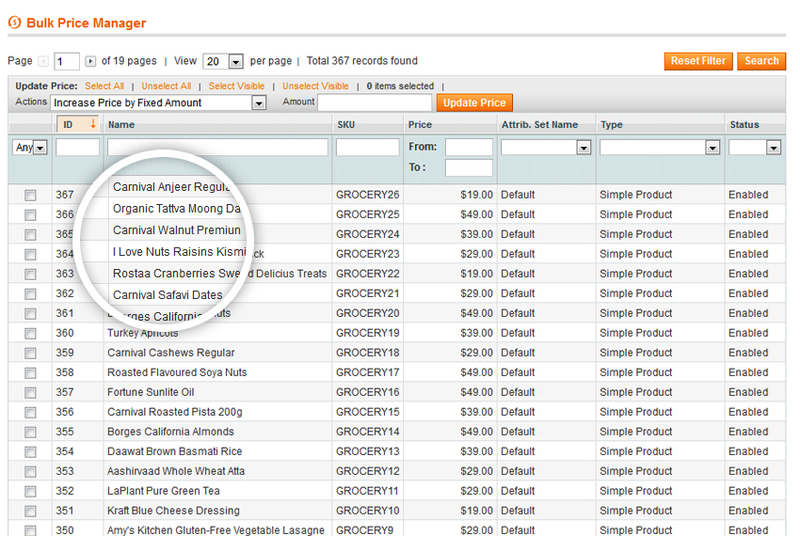 No, you can not change tier prices in bulk with the current version of Bulk Price Manager. This feature will be available in next version release. Do I need to reindex catalog after Magento bulk update prices? No, You don't need to reindex the catalog after Mass Price Update. 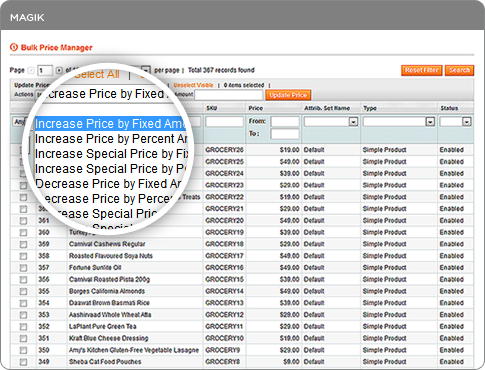 Reindexing is already included in Bulk Price Manager. How can I mass select products to update price? 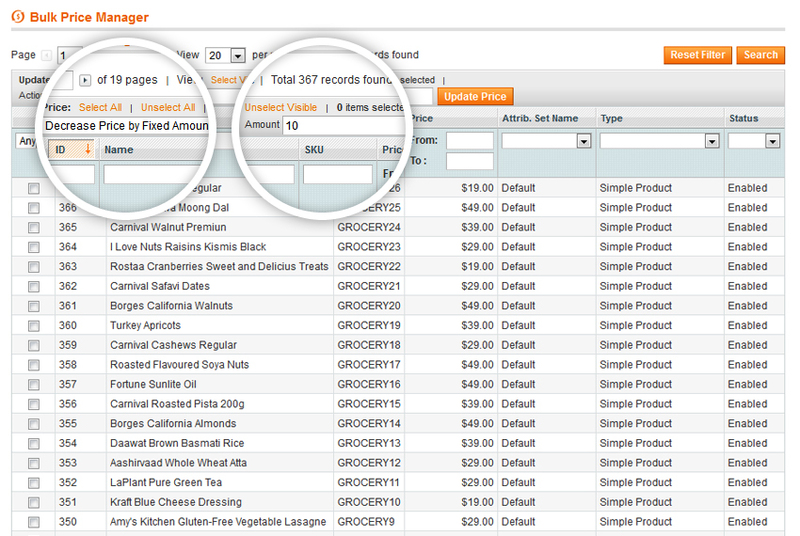 Bulk Price Manager has product grid with standard 7 mass action option filters. 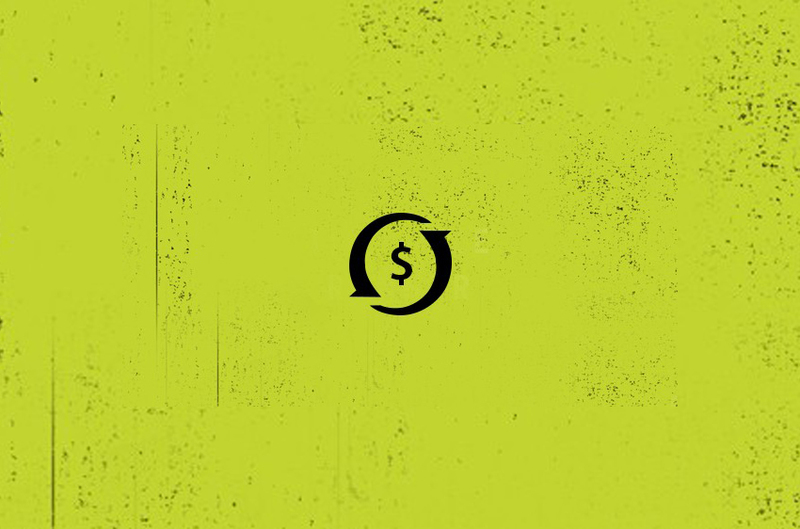 These standard options let you edit product prices the way you want. Can I set price to be updated as fixed and percentage? 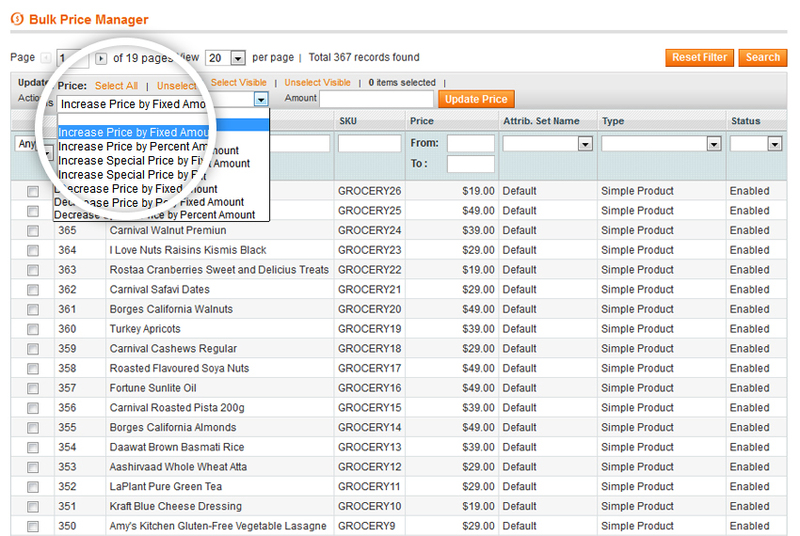 Yes, you can set product price as fixed and percentage amount. How can I apply multiple Special Price From Date and end dates? No, Magento Mass Price Update extension does not provide such functionality.